The life and times of two chicks giving stuff away to non-profits in need. We have volunteers in the warehouse today so naturally we had to offer them some sustenance since it’s about 42 degrees below zero out there. 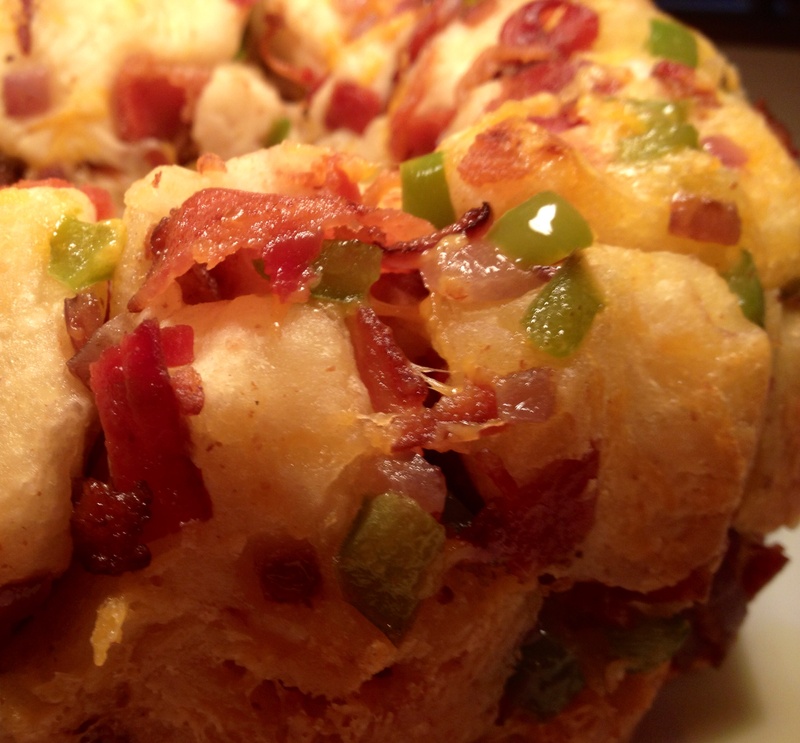 Nothing says lovin’ like some bacon cheese bread. It has no redeeming nutritional value unless you count the flecks of onion and green pepper. I say let’s count them. Heat the vegetable oil in a sauté pan and fry the onions and peppers until they are soft and beginning to brown. Cut the biscuits into quarters and put them in a bowl, along with the bacon, onions and peppers. Add the melted butter and combine thoroughly. Add the cheese. Put the bread mixture into a greased 9-inch bundt pan. Bake for 30 minutes.